Squarespace has been the lifeline of our blog since the very beginning thanks to their minimalist approach, design and ease of use. It's the platform of choice for us and has been used for many clients of our sponsored partner Digital Habitus. There are so many reasons why Squarespace is the chosen 'go-to' platform for many businesses out there but for us it's the simple nature that Squarespace offers. While Shopify works beautifully for many brands, especially those who are pure e-commerce and lead primarily with their products there are still limitations. Squarespace offers a drag and drop format that allows you to take one of their stunning templates (see below) and make it your own. You can add a large array of elements to any page with ease putting your style to every corner of the site. With over 80+ themes Squarespace has you covered. You can view their large collection here, select your profession and away you go. Each template has been designed and developed to work beautifully on both desktop and mobile which has never been more important than it is today. Plus, you can integrate a number of your favourite apps and integrate there ever improving e-commerce functions. With so many themes to pick from, we have selected a handful of our favourites to help you decide what the best Squarespace template is for your blog. Squarespace templates are perfect for bloggers thanks their smooth customer experience and platform. There are so many themes that work really well for any blogger but here are two that we think hit the mark. The themes are Skye and Farro. For any photographer, it is important to create a presence that promotes and showcases your imagery perfectly. With clean minimalist designs, your images will pop. Our selection would be between Avenue and Forte. Each theme offers a different take and each has been purely designed to showcase your images. Squarespace has continued to elevate their product offering with the e-commerce space quite a bit over the last couple of years. 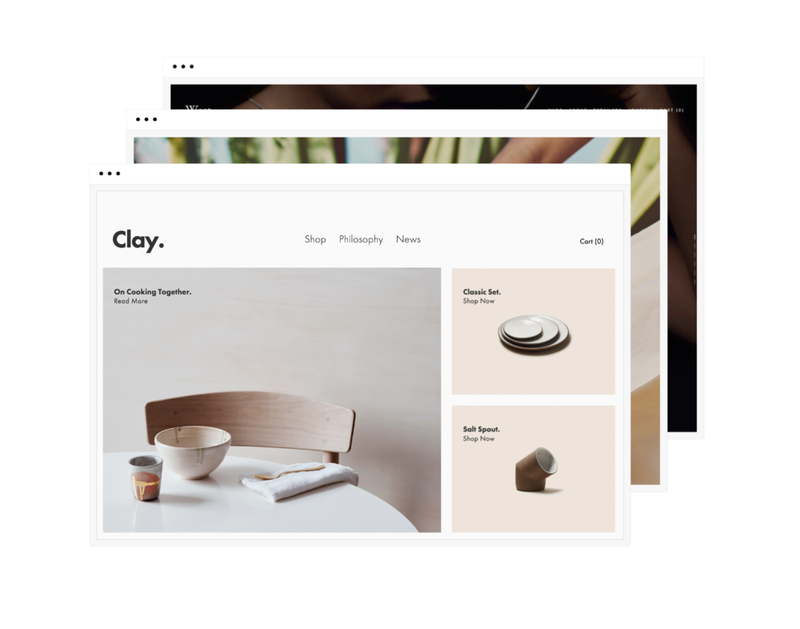 With big platforms such as Shopify and BigCommerce steadily gaining ground, Squarespace has had to catch up. That they did and here are a couple of themes that work really well for any Fashion designer looking to promote and sell their designs online. Are two leading themes would be Clay and Brine. While each theme offers a huge range of custom elements allowing you to truly make your site your own it can sometimes be quite scary tackling this alone. This is why our sponsored partners at Digital Habitus are offering our readers a 30% discount to anyone looking to redesign their site. All you need to do is quote the code JOHNANDDOUGLAS and off you go.